By night, Las Caletas is transformed into a magical paradise and the perfect setting for this exclusive evening excursion. Rhythms of the Night is an amazing journey that will transport you to a spiritual land that time forgot. History, culture and natural beauty make for an unforgettable night out in Puerto Vallarta. This Puerto Vallarta Adventure is a truly thrilling ecological experience packed with challenges, adventure and most importantly, fun! 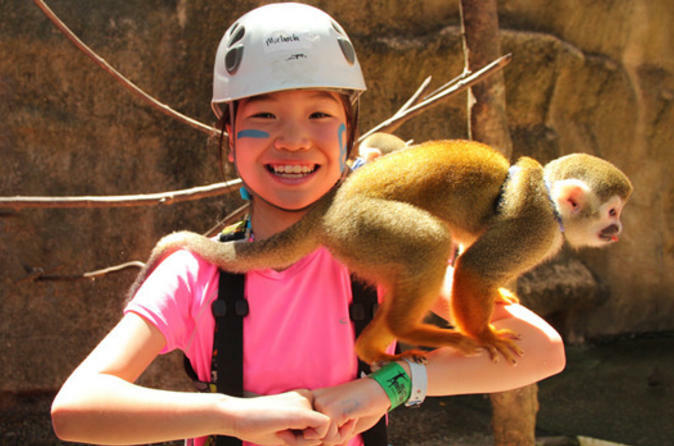 This Puerto Vallarta Adventure is the perfect way to spend an exciting day outdoors on your Puerto Vallarta family vacation. Ready to cook up (and eat) a feast of flavors? 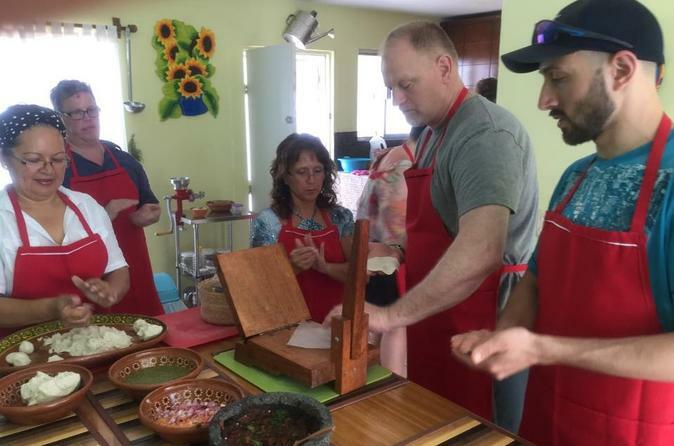 This 5-hour cooking class in the home of a master chef introduces you to the cuisine of culturally rich Puerto Vallarta. Shop for produce, visit a tortilla factory and discover interesting facts about Mexico’s culinary heritage. Learn how to cook family recipes like fish ceviche, taste tequila or mezcal, and enjoy your creations. You’ll walk away with a repertoire of new cooking skills in this small-group class, limited to eight food lovers. Fly through the rainforest, over the Orquideas River and right into a tequila bar and restaurant. 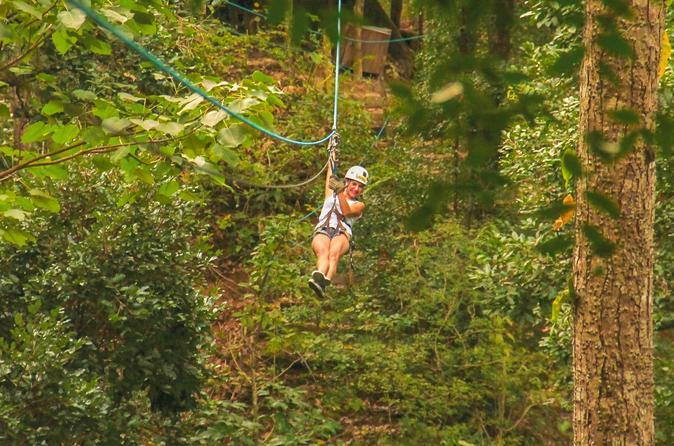 Take a wild ride on Puerto Vallarta's popular first-ever zipline circuit, which boasts more than two miles (3 km) of cables strung 328 feet (100 meters) above the ground. Enjoy free time for lunch, cocktails and swimming, or play with monkeys and marmosets in the on-site wildlife menagerie. Explore Mexico's answer to the Garden of Eden on this Las Caletas day trip from Puerto Vallarta. This day trip to the exclusive and enchanting coastal haven on Banderas Bay will allow you to get away from it all, kick back, relax and let all the stress slip away. A great family friendly adventure to be enjoed by everyone! Get ready to "become a local in 3 hours"! Experience our 3.5-hour food tasting and walking tour offering a local’s insight into Mexican culture through its delicious and intricate cuisine, rich history and stunning architecture. Your local "foodie" guide takes you on a culinary adventure, navigating the cobblestone streets of historic Puerto Vallarta. Along the way you will delight in the best Puerto Vallarta has to offer, visiting 9 carefully selected food tasting locations. Explore off-the-beaten path eateries, meet their colorful owners and staff, visit taco stands and try regional delicacies. Leave filled with a deeper understanding of Puerto Vallarta and Mexico, a satisfied stomach and new insight to continue on your discovery of authentic Puerto Vallarta! Enjoy personalized attention on this small-group tour limited to 9 people. Suitable for all age groups and fitness levels. An entertaining and informative evening taco tour exploring Puerto Vallarta´s best night-time street foods. 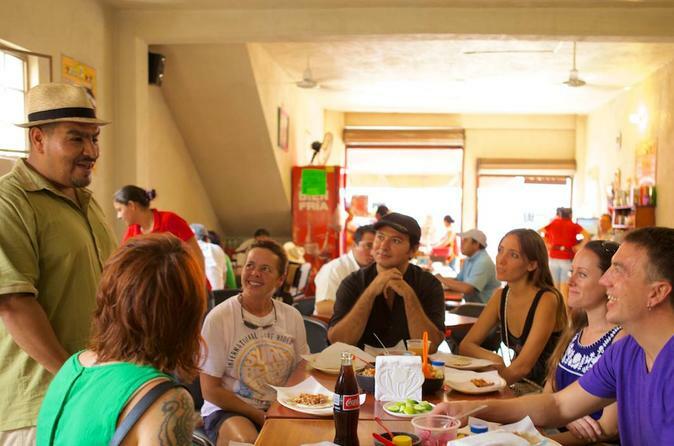 Strolling through the authentically Mexican neighborhoods of Emiliano Zapata, centro (Downtown) and 5 de Diciembre neighborhoods, you will sample an amazing variety of authentic regional eats and drinks. Visit 8 family-run stands and restaurants and try some of the best tacos and street food in Vallarta. Some of the authentic tacos you'll try include carne asada, al pastor, marlin, fish and local favorite cabeza (beef cheek). Stop at 4 unique taco stands including: carne asada, al pastor and even explore more adventurous tastings. 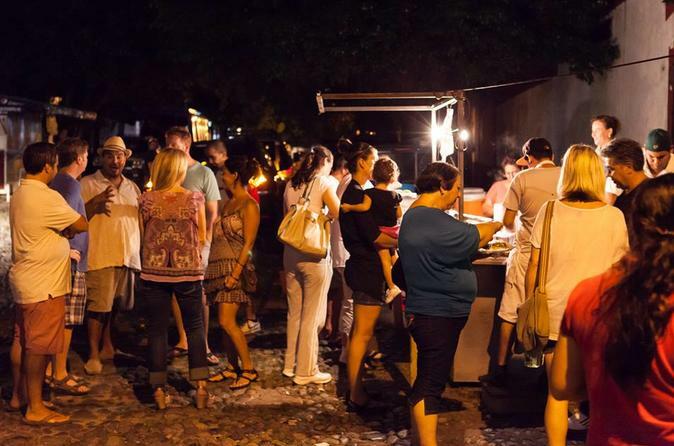 See the sights, sounds, and energy of Vallarta’s nighttime culinary scene and hit the street on this evening taco food tour. This wonderful sailing tour is the perfect way to spend a day in Puerto Vallarta! Relax on board, sail into the wind, swim in crystal clear blue water and explore the natural wonders of Banderas Bay. 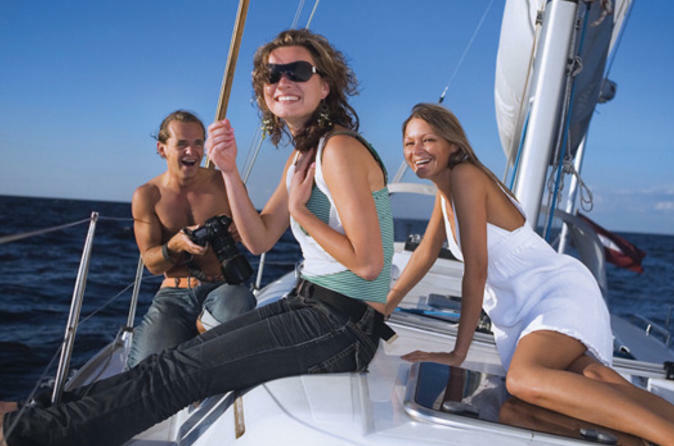 This day combines pure, unadulterated sailing pleasure with absolute pampering! 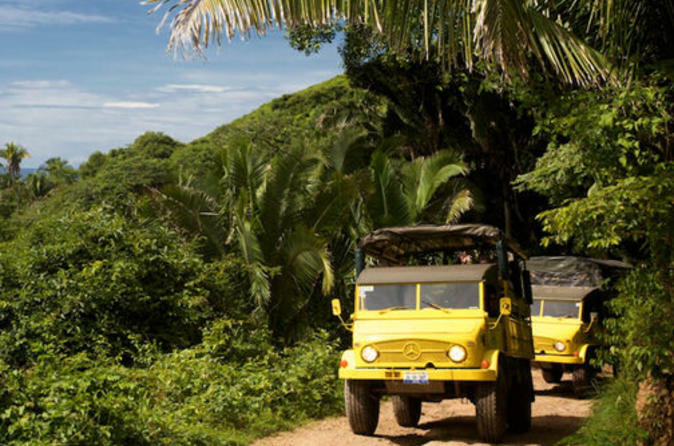 Jump on this exciting Sierra Madre Jeep Adventure safari and explore the fascinating, traditional "Old Mexico" villages, including El Tuito. You'll have the opportunity to journey in the Mexican outback, visit botanical gardens as well as a local 'raicilla' distillery. Learn about the ecology and wildlife found in the mountains and jungles of the Sierra Madre in Puerto Vallarta. 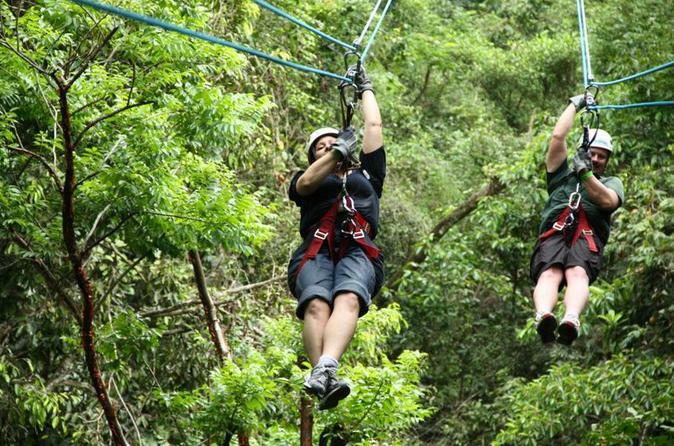 Feel your adrenaline kick into high gear on this day trip of extreme activities in the Sierra Madre mountains. 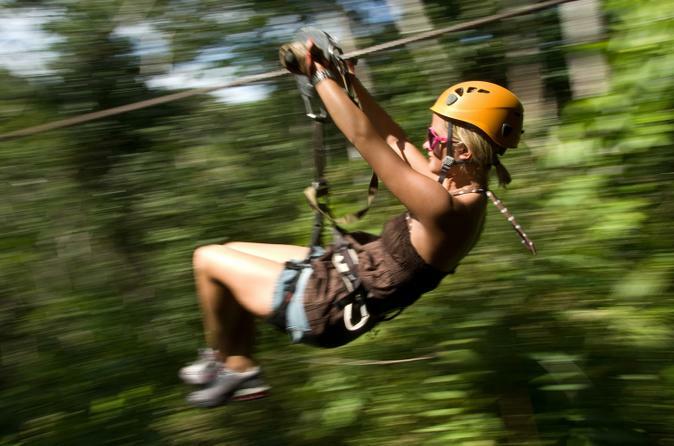 Deep in a rainforest jungle park, zoom as fast as 60 miles (97 km) per hour on the longest zipline in Mexico. From there, rappel your way down to suspended bridges. After a wild ride in a personal UTV (utility terrain vehicle), wash off the dirt as you cascade down a waterslide. This family-friendly tour limited to 14 people is led by five guides, ensuring a safe and memorable experience.